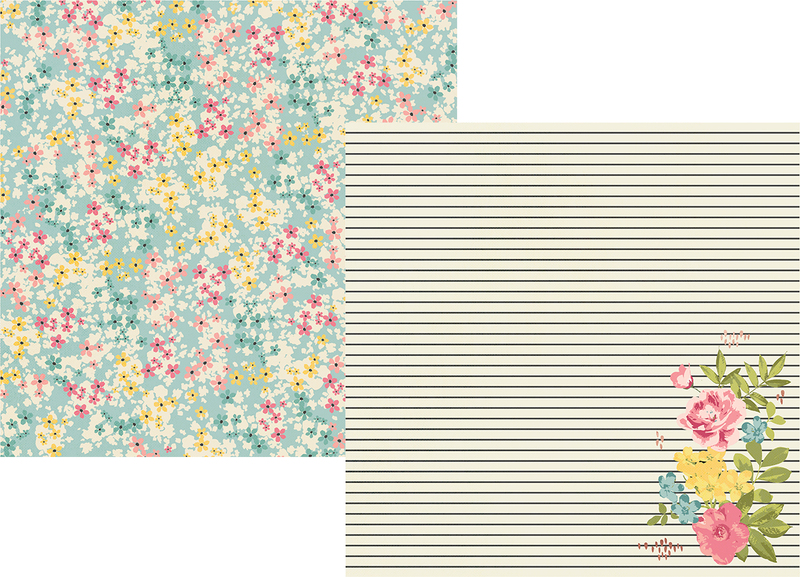 This 12x12 double sided paper has Notebook Lines with a corner Accented with a Floral Bouquet. The reverse side has Mini Posies on a Light Teal Background. Part of the New I AM Collection by Simple Stories. Look for coordinating ChipBoard, Stickers Bits & Pieces, Roller Stamp, 12x12 Sticker Sheet and Designer Papers.